Get occasion ready in this must-have maxi dress. 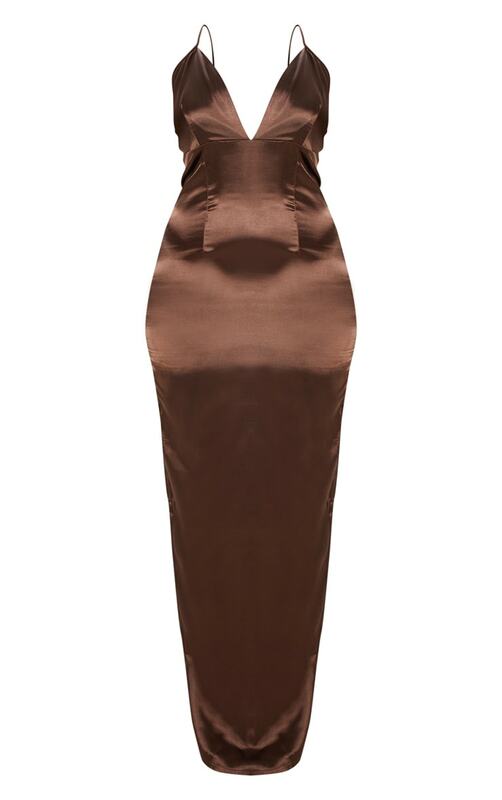 Featuring a chocolate brown satin material with thin straps, classy maxi length and daring plunge neckline, you can't go wrong. Team with barely there heels and add statement accessories for a look we're loving.